If you’re looking for seafood, San Francisco is one of the best places to start. Famously, our hometown is home to some of the best restaurants in the world and we have incredibly easy access to sustainably caught seafood delicacies like Dungeness crab, oysters and clams. Today, we’re rounding up the must-visit San Francisco restaurants for oyster connoisseurs. On this list, you’ll find counter service joints that have been serving up seafood for decades alongside newcomers that are already being talked about across the country. And along with every single one, you’ll find crazy good oysters. This small, locally owned seafood restaurant and fish market in the Castro has been operated by the same owner since 1977. Their menu includes only fresh and sustainably caught fish, shellfish, crab and simply prepared seafood dishes, including the best oysters on the West Coast according to Coastal Living. This Absinthe Group restaurant is heavily inspired by Spanish cuisine, and more specifically, by Catalonia and Barcelona. Nestled in the Hayes Valley, their menu turns Northern California sensibilities into culturally impressive creations. For example, the fresh oysters available at the raw bar come with a barrel-aged sherry mignonette and the legendary boxing room hot sauce. Bar Crudo is a raw bar serving pristine oysters and raw fish presented in creative and unique preparations. While supporting local producers and sustainable practices, they’re offering some the simplest, freshest and best seafood in the Bay. Next time you get a craving for oysters, make a reservation at Bar Crudo and pair your platter with Littleneck clams, Dungeness crab and lobster. Everything at The Dorian—from the atmosphere to the food menu to the cocktail list—is inspired by turn-of-the-century America. Designed as a modern-day parlor, they offer modern American fare, craft cocktails and an extensive whiskey collection in a dining room fashioned like a Victorian manor. Available by the half dozen and the dozen, their oysters on the half shell come with cocktail relish, lemon and umami mignonette. Offering a little bit of everything, Farallon has a menu that features fresh seafood and simple raw preparations, and it’s rounded out with local produce, meat and game. 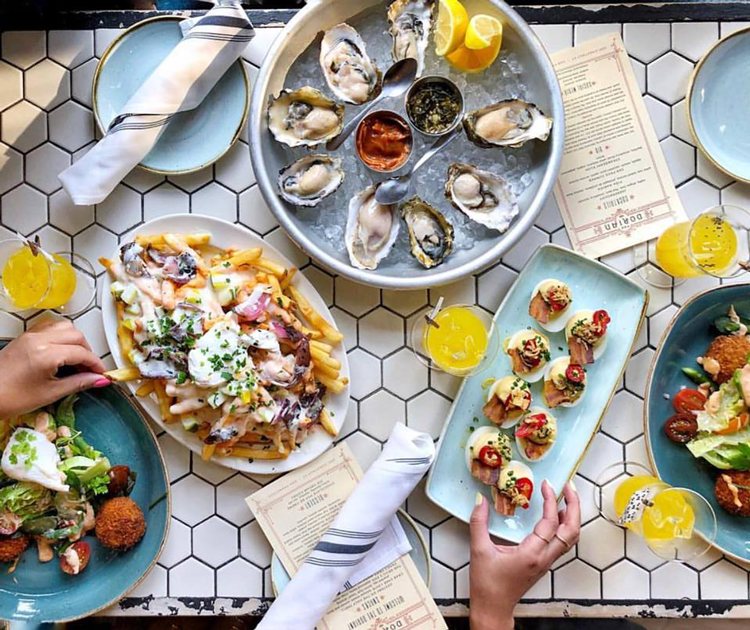 When you’re not talking about how amazing the food is, you’ll be in awe at the creative nautical decor, including murals, historic architecture and jellyfish lamps illuminating the impressive oyster and raw bar. Created by the family who developed PIER 39, the history of Fog Harbor Fish House spans over three decades and three generations. Still family-owned and operated, the restaurant was also the first restaurant in Fisherman’s Wharf to serve 100% sustainable seafood. The main menu is a gargantuan display of seafood selections and it includes raw oysters and their famous baked oysters, too. Photo courtesy of Remy Galvan Hale via Hog Island Oyster Co. Hog Island Oyster Co. hand raises and shucks every oyster, mussel and clam at their Tomales Bay farm in Marshall. Inside the San Francisco Ferry Building, just an hour and a half from that farm, you can see for yourself why their oysters are some of the best in the Bay. The San Francisco location is nestled along the waterfront with iconic views of the Bay Bridge so you can pair your fresh oysters with a view of the water. Famous for its Instagram-worthy decor and its oysters, Leo’s is a glamorous Financial District seafood restaurant. Designed by Ken Fulk alum Jon de la Cruz, the interior combines 1950s Beverly Hills with an old-school Manhattan club. In the light and fern-filled conservatory, you’ll find the raw bar complete with caviar, snow crab claws, clams and more than ten different types and preparations of oysters. Sotto Mare is the epitome of fresh California seafood with Italian flare which makes sense since it’s located in the heart of North Beach. Here, you can get oysters and clams on the half shell, Boston-style clam chowder, Baccala, the best Crab Cioppino in the city, seafood risotto and so much more. Lobsters, clams, oysters, crab, trout, salmon, octopus—Swan Oyster Depot serves it all out of their historic storefront in Nob Hill. Though they only offer counter dining and there’s always a line, the wait is worth it for this traditional, fresh San Francisco seafood. 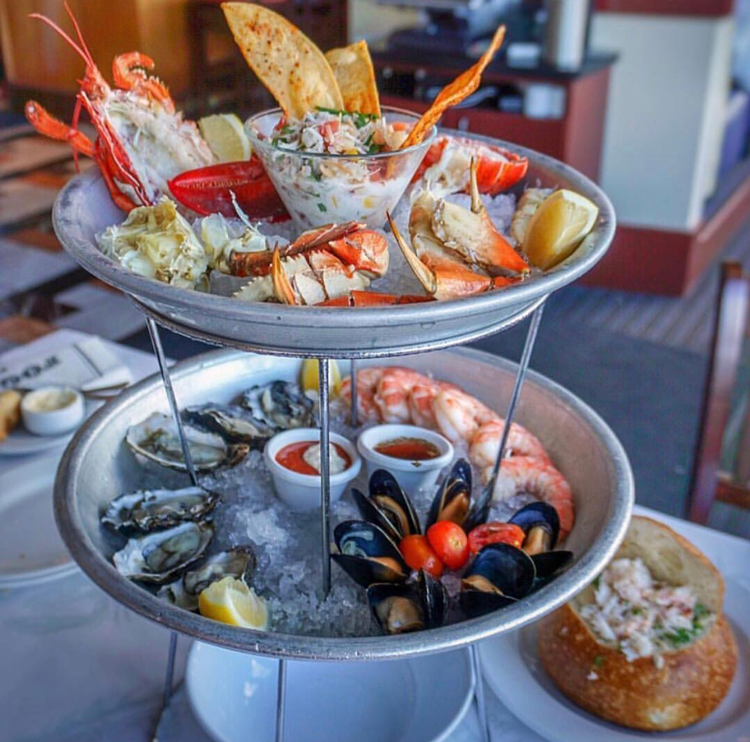 This Embarcadero mainstay has been named one of the Bay Area’s best seafood restaurants, one of the most romantic restaurants in San Francisco and the dining room offers one of the best views in the city. 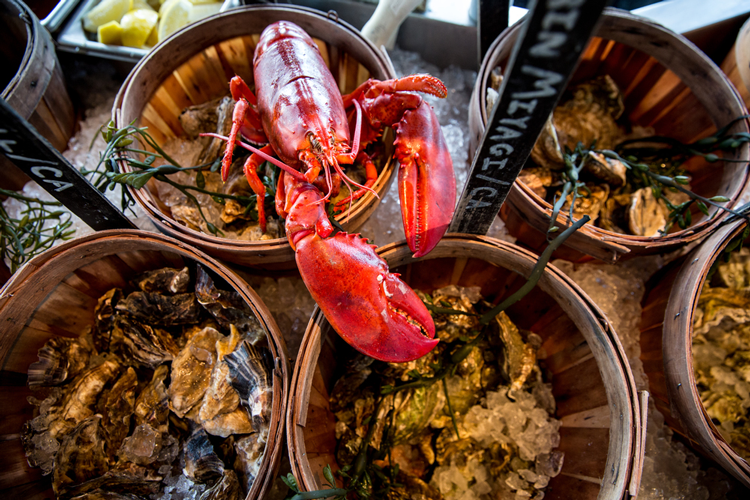 The daily changing menu represents the day’s best fresh-caught and sustainably sourced fish alongside one of the most expansive selections of West Coast oysters that are shucked to order. And the day’s featured oyster is always just $1.05 per oyster! In addition to serving amazing mollusks, Waterbar donates 5¢ for every oyster sold to local organizations like Shanti Project. Since they started this program, they’ve donated more than $125,000. Since 2003, Zuni Café has brought home three of the James Beard Foundation’s most coveted awards, including Outstanding Restaurant in 2003 and Outstanding Chef in 2004 thanks to Chef Judy Rodgers. Her Eurocentric and adventurous menu changes daily and is driven by seasonal, organic ingredients. And alongside those selections, you’ll find one of the most extensive oyster menus in the region. It’s available all day and you can see it here. 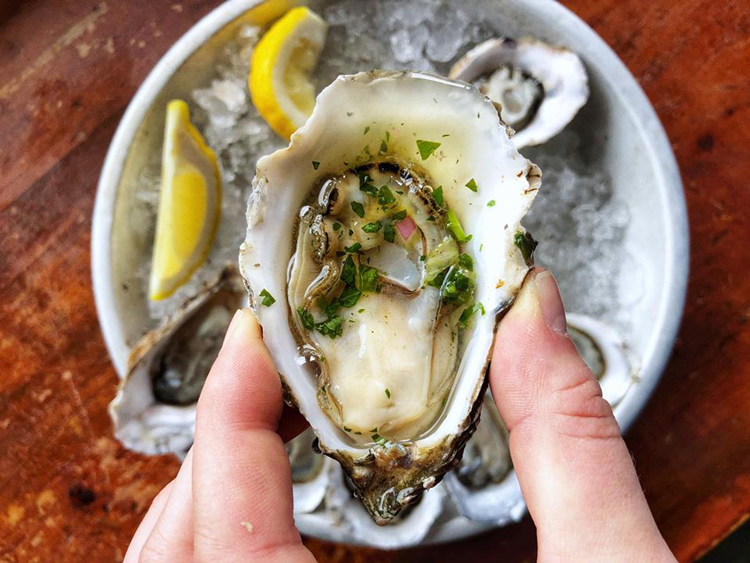 In the comments below, tell us where you go to find the best oysters in San Francisco.